The eleventh annual Heartland Nationals at Atoka Motorsports Park got most of the racing action complete for the day before rain moved into the area. Qualifying for the heads-up classes was completed along with action in the Pro 2/3/4 Quad classes. Scott Carroll lowered his #1 qualifying effort from Friday with a great 2.717/139.15mph pass in Saturday’s final session. In Top Eliminator, Jeff Sieg edged out Mark Punos for the top spot with a 2.990. Elimination round action is set to start at Noon in Atoka on Sunday. - Scott Carroll also led the class’ first session on Saturday with a 2.763. 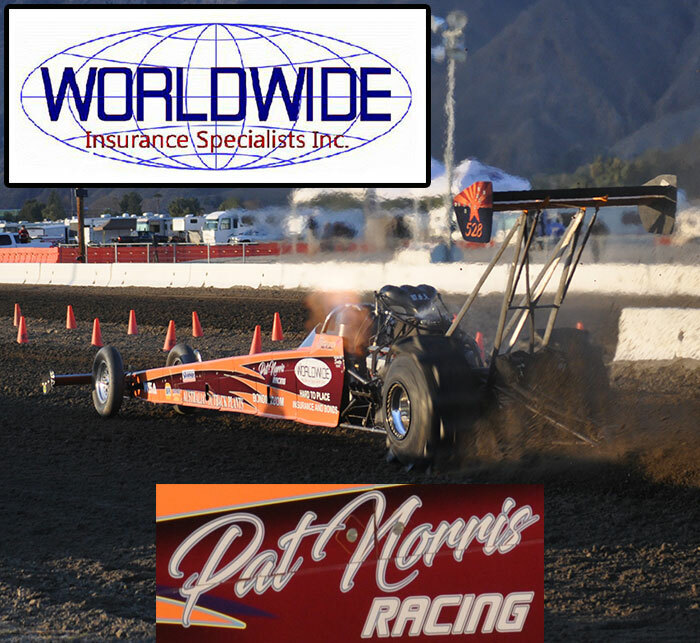 - Pat Goodale was the only other car in the 2.7 zone today with a 2.790 in the final session. - David Hauser jumped in to the #3 position with a monster 139mph 2.81 pass in the day’s first session. - Jeff Sieg made both of his passes count on Saturday running a 3.03 off the trailer, then a 2.990 for the top spot. - Mark Punos ran a nice 3.018 on his only pass of the day. - Joyce Risher and the “Black Magic” dragster ran a too quick 2.93 in the first session of the day then a 3.133 in the final session. - Unfortunately, Risher will be unable to make eliminations due to chassis damage on her final qualifying pass. The 2009 edition of the Heartland Nationals has begun. It is looking to be a great race with a great turnout of competitors from all across the country. Top qualifier in Top Alcohol is Arizona’s Scott Carroll with a great 2.742 pass. Leading the Top Eliminator class after day one is Las Vegas’ Mark Punos with a 2.991. Winners on the day’s Quick 16 classes were Jackie Stidham from Texas (Q16 Cars) and California’s Mark Ratliff (Q16 ATV). - Scott Carroll ran Low ET of both qualifying sessions, also leading the second session with a 2.77 pass. Dan Allen made the trip with Scott to help crew for him. - Pat Goodale ran a nice 2.789 off the trailer with his Michigan-based Crude Awakenings dragster. - All five entries in the Top Alcohol class are all from different states; Carroll (Arizona), Goodale (Michigan), Trower (Oklahoma), Hauser (Missouri), and Morris (California). - Mark Punos made an impressive off the trailer 2.991 pass. - Joyce Risher set the best pass of session two with a 3.070. - Terry Crawford experienced troubles on day one with his Las Vegas-based “Yabba Dabba Doo” dragster, however after some help from the 2 Dolla’ Bill crew he should be ready for the rest of the weekend. - Kenny Kapple had problems on his only attempt Friday and did not record a time.